Based on the true life story of Leo Sharp, a World War II veteran that became a drug mule for a Mexican cartel while is his eighties, The Mule sees Clint Eastwood give the acting gig one more go, he’s also the film’s director. It’s a surprisingly touching journey for both Clint and the film’s audience. Earl Stone (Eastwood) is a down on his luck horticulturist whose business and passion has been ruined by changing times and the Internet. He becomes a drug runner out of necessity but grows to enjoy the money and the thrill. 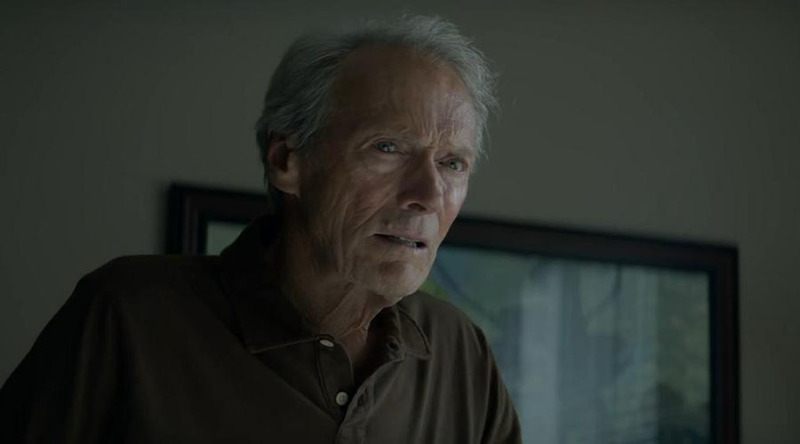 Eastwood looks every wrinkle the part and shuffles his way through the performance in a most engaging way. Poster art to the contrary, the cast is filled with heavyweights like Bradley Cooper and Michael Peña as DEA agents, Dianne Wiest as Stone’s long suffering ex-wife and Andy Garcia as the benevolent leader of the cartel. They all deliver fine performances but there is no doubt it’s Eastwood’s film, both behind and in front of the camera. The film gets its comments on the disposability and invisibility of the elderly spot on and yet never feels preachy. There are some very emotional scenes as Stone reconnects with his lost family. Also in a life is stranger than fiction reality, you have to read the Wikipedia listing for Leo Sharp, his plea to the judge for leniency is a classic.